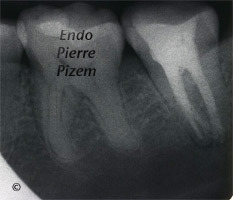 A peculiar anatomical variation can be noticed on this mandibular first molar. 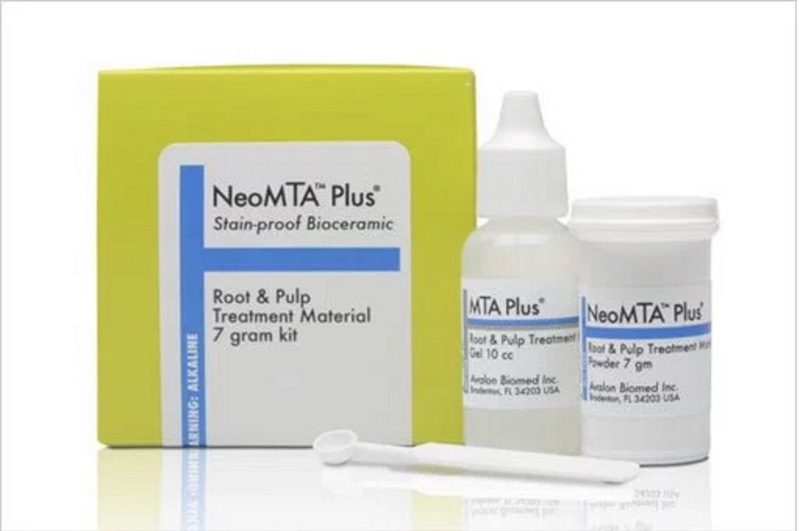 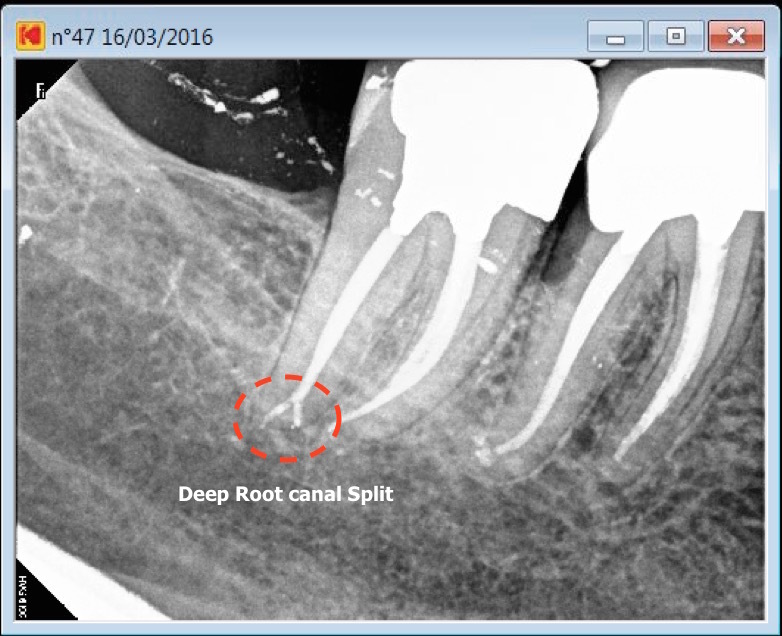 What appeared to look like hypercementosis on apical aspect of distal root could in fact be a supernumerary root fused to the distal one (Radix Entomolaris). 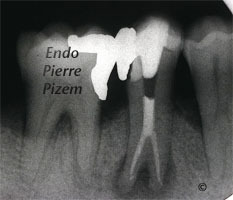 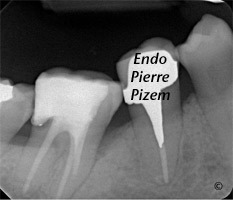 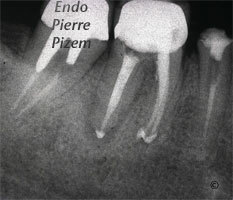 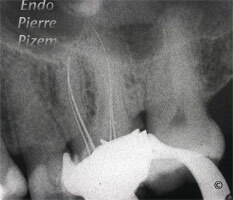 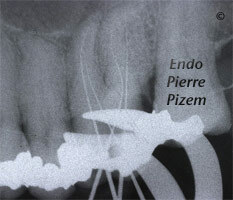 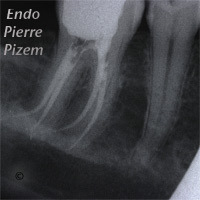 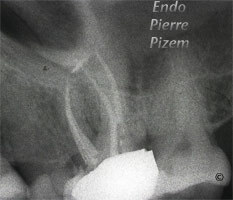 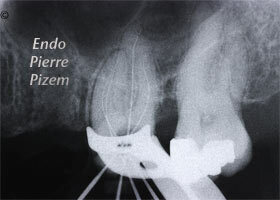 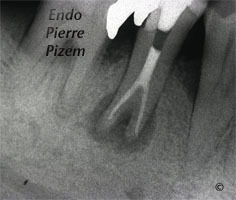 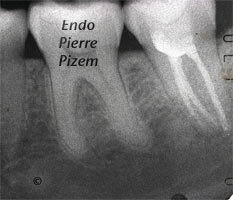 Careful removal of dentine with ultrasonic tips under high magnification of a dental operative microscope helped in locating this extra canal. 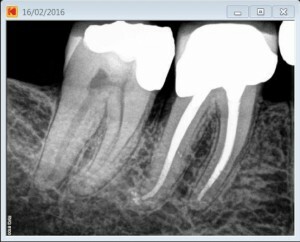 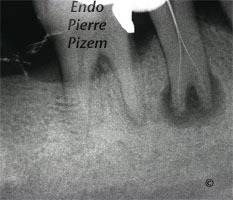 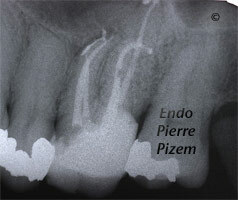 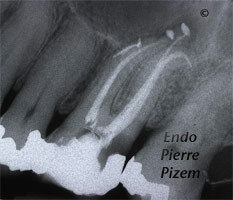 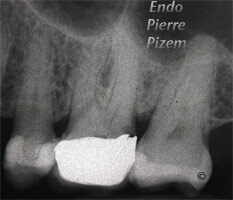 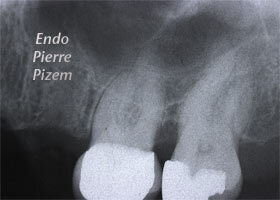 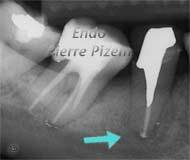 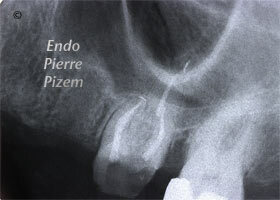 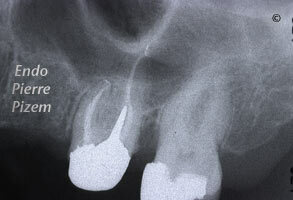 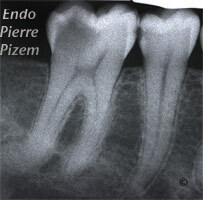 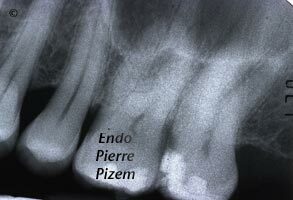 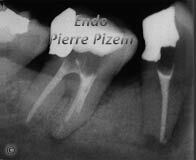 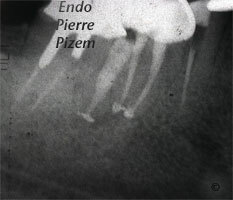 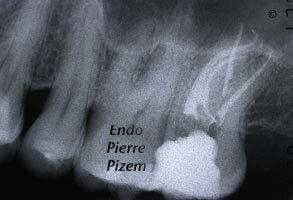 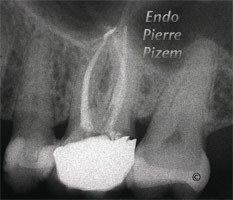 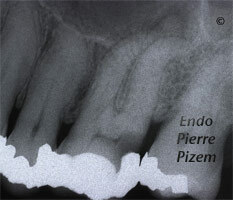 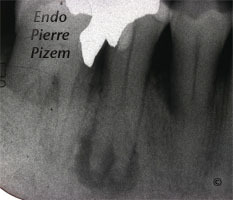 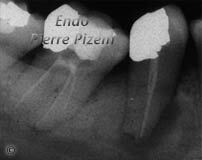 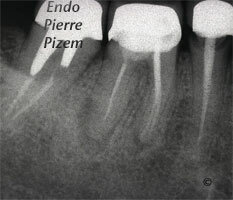 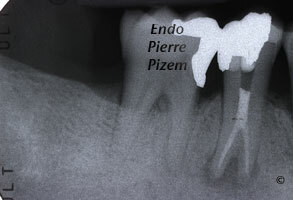 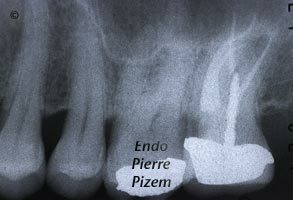 Patient was refered to us to locate MB2 and DB canal entries with the help of a dental operative microscope. 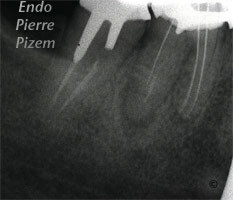 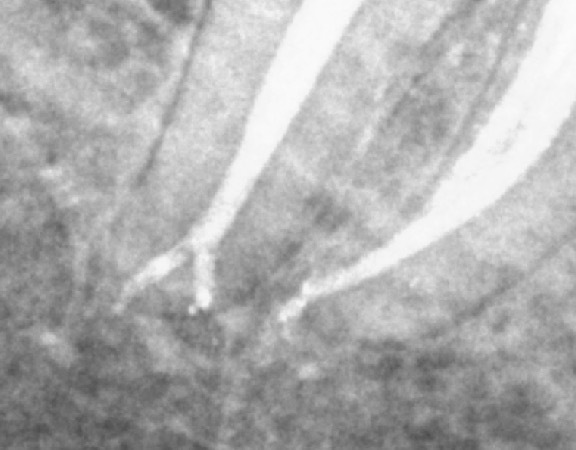 Calcifications had to be removed with ultrasonic diamond coated tips from the pulpal chamber floor in order to expose those canal entries.